Staying in hostels are now becoming way popular than staying in a hotel. Not only does staying in a hostel save you money, but it also allows one to meet new people. Modern hostels are also located at a convenient location allowing easy access to nearby popular places. If you’ve decided to stay in a hostel and is your first time, then these tips will make your stay a memorable one. Before you Arrive, Learn About the Place – With so many hostels available for travelers, it is important to do some homework. Check online for reviews from travelers who have stayed. The goal here is to see what is available for you such as Wi-Fi, hairdryers, breakfast and so on. Choose a Room Wisely – This is an important factor to consider before your arrival. Hostels have various types of rooms along with beds. If you’re traveling solo, then you will be fine sharing a room with other 3 strangers. But if you’re traveling in a group, then you may want to hire a bigger room with more beds as you’ll be able to save a few bucks. Choose the Lower Bunk – It’s always better to choose a lower bunk compared to the upper one. It saves you time from going up and down and also makes it easier if you decide to visit the washroom. Bring Noise Cancellation Headphones – These are a great handy item to carry along with you. You can expect some noise during your stay in a hostel. And if you’re going to work in the hostel, then noise cancellation headphones will certainly help you to focus on your work. 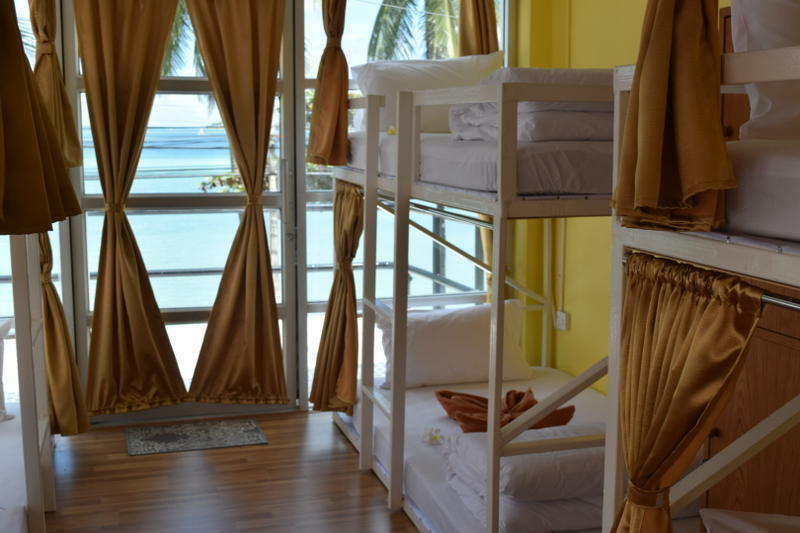 There are a good number of Thailand beach hostels, giving you the best experience during your stay.